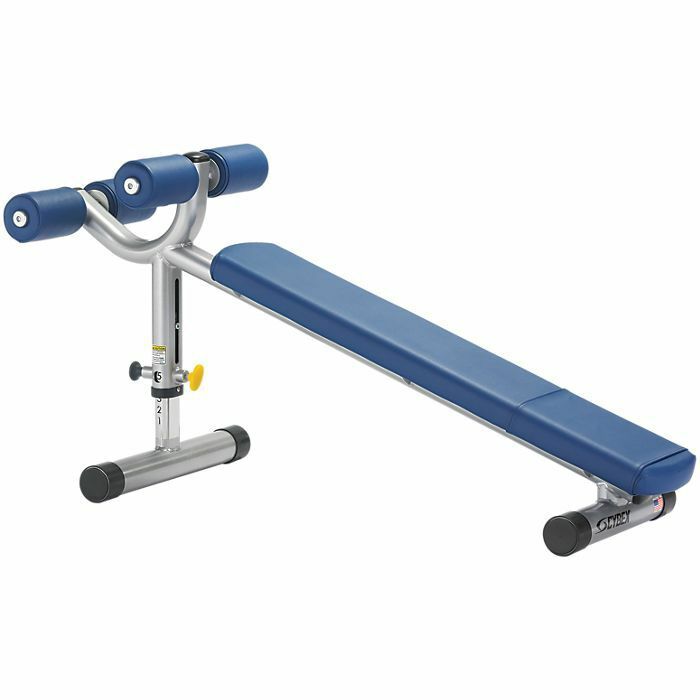 The Cybex Free Weights Adjustable Decline Bench is a great quality and aesthetic piece of equipment that is a must-have for any well-designed gym. To ensure a fulfilling workout the back pad adjusts from 15° to 30° in eight settings. To prevent lower back strain there is leg support and knee elevation feature provided. The Cybex brand is widely known for its highest quality standards among athletes andf professional leagues such as NFL or NHL to name only but a few. Back pad adjusts from 15° to 30° in eight settings. Legs are supported and knees elevated to reduce lower back strain. Dimensions: length =155 cm (61") width=58 cm (23") height= 66 cm (26"). Machine Weight: 27kg (60 lbs). for submitting product information about Cybex Free Weights Adjustable Decline Bench We aim to answer all questions within 2-3 days. for submitting product information about Cybex Free Weights Adjustable Decline Bench. We aim to answer all questions within 2-3 days. If you provided your name and email address, we will email you as soon as the answer is published. for submitting product review about Cybex Free Weights Adjustable Decline Bench.